Concerts play a vital role in the success of the music industry. It is then a must to advertise them properly to make sure that they become successful. Promotions can be done through countless forms of media. One of the most popular medium would be concert posters. These poster prints should both be striking and informative while trying to incorporate the band or artist image. It is also important to use typography and show concert details as creatively as possible. You would even need to search for online printers who can justify your artwork on print. These efforts, we should say, work most of the time. 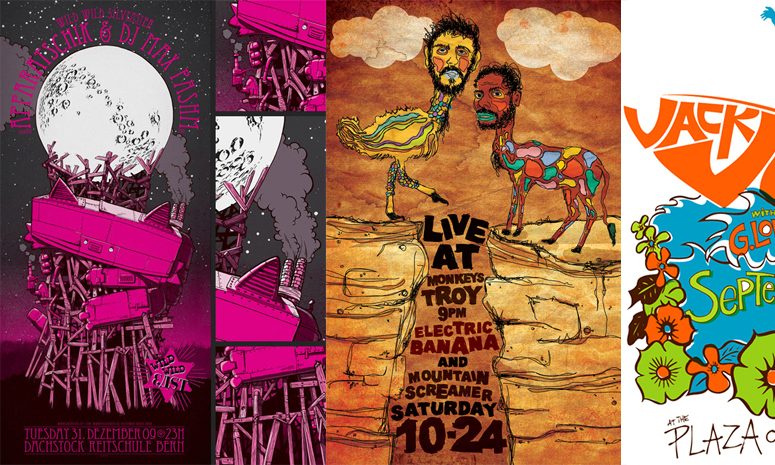 Here are some examples of different styles used in designing Concert and Gig Posters to get your creative thoughts flowing. We chose those designs that largely use typography as a major design element. We hope you like this collection!